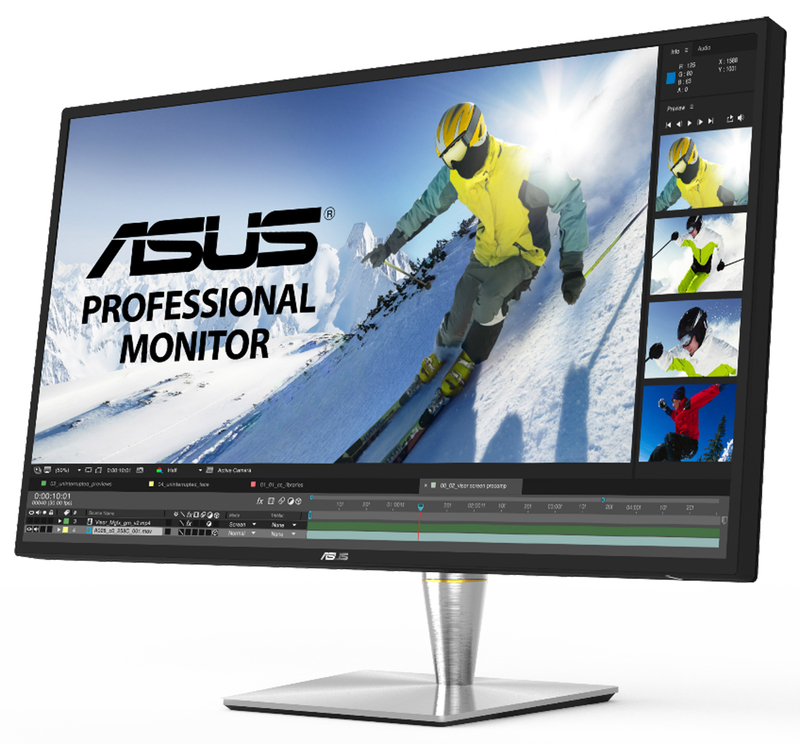 There's also a 4K HDR pro monitor with Thunderbolt 3. ASUS didn't show all its cards at its CES event. The computing giant has unveiled a pair of high-end desktop displays that each have their own clever tricks. The Designo Curve MX38VQ (above) is arguably the star if you're an everyday user: the 37.5-inch, 3,840 x 1,600 monitor packs a Qi wireless charging pad to top up your smartphone. We've seen charging before, but not on a screen this big and wide. It also packs a "frameless" panel and Harmon Kardon-boosted speakers (albeit a modest 8W) if you're tight on space. The other display is aimed squarely at the creative crowd. The 32-inch ProArt PA32U is billed as the first pro-oriented, directly lit monitor with 4K and high dynamic range -- courtesy of its quantum dot technology. Not surprisingly, image quality is the main hook: You can get 95 percent of the movie-grade DCI-P3 color gamut, calibrate it with settings saved in hardware, and pump out up to 1,000cd/m2 of brightness. And did we mention that there are a pair of Thunderbolt 3 ports? If you have the new MacBook Pro or a suitably-equipped Windows PC, your monitor can serve as a dock. There's also a mid-tier monitor, the 27-inch ProArt PA27AQ, that includes Thunderbolt 3 while moving to a slightly less jaw-dropping 1440p resolution. You'll have to wait a while to get your hands on these displays. Both the high-end models are poised to ship sometime in the third quarter of the year, starting at $1,099 for the Designo Curve model and somewhere between $1,799 to $1,999 for the 32-inch ProArt variant. They're clearly aimed at the spare-no-expense crowd, and you're paying accordingly.